A small elongated skull along with many other artifacts has supposedly been found in a cave in the southern desert of Peru. Brien Foerster who examined the skull states that the bone of the skull is about 3 to 5mm thick and still has a stiff grey skin like the material attached to it. The team of Brian Foerster has taken samples of the skin and bone for DNA and radiocarbon testing in prominent laboratories in North America that they are working with already. 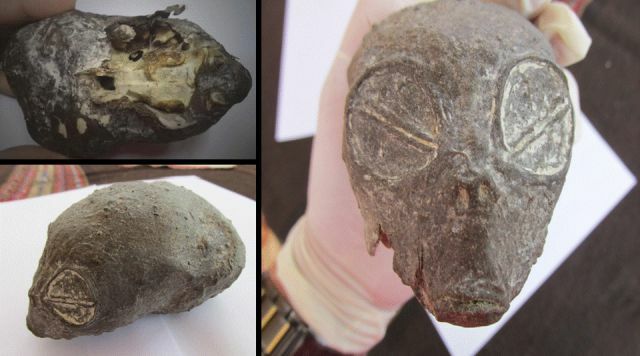 The elongated skull could be from an alien? Maybe, but let’s wait for the results of the investigation. Head Of The Army Gives Strange Speech - "Prepare For little green men and hybrid armies"
Future weapon of human enslavement will be WATER?